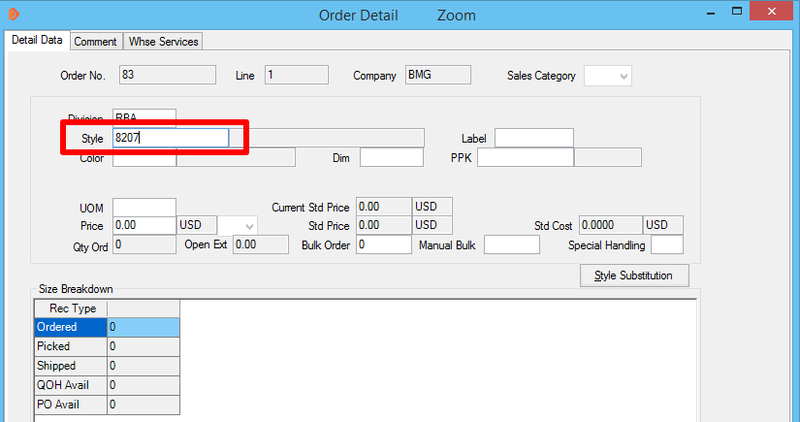 Watch the video below for instructions on how to enter a sales order. You may also scroll down the page to see written instructions that cover the same steps. 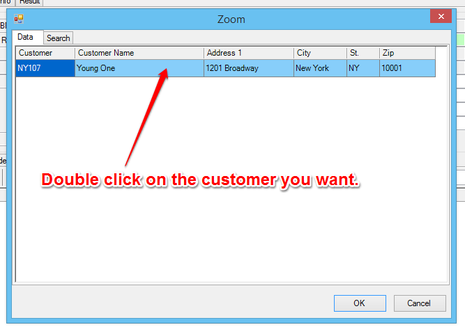 Right click on the rectangle next to Customer. A window will appear. 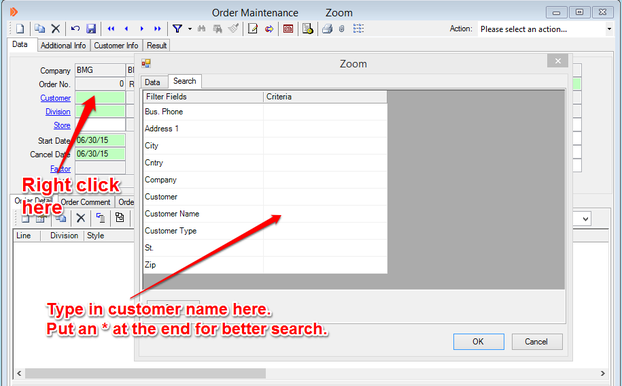 Search for the customer by typing in the name in the field next to Customer Name. Click Find to see the search results. Type * if you are unsure of the exact name. If you know the name starts with Store, then type Store*. If you know the name ends with Store, then type *Store. If you know the name has the word Store in it, type *Store*. 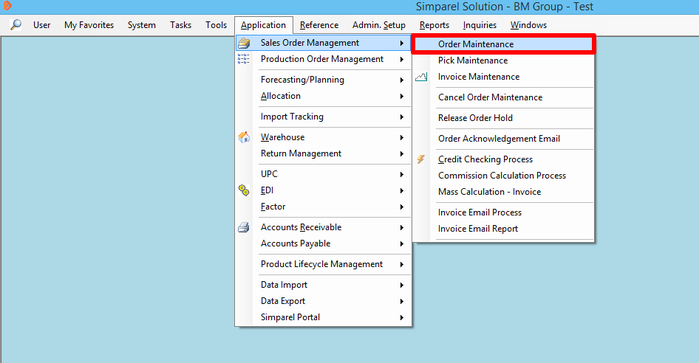 What if the customer is not showing up? 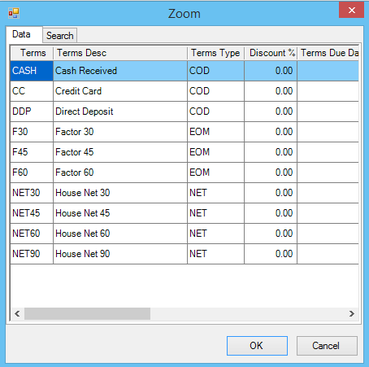 A window with Payment terms will appear. Double click on the terms for the order. 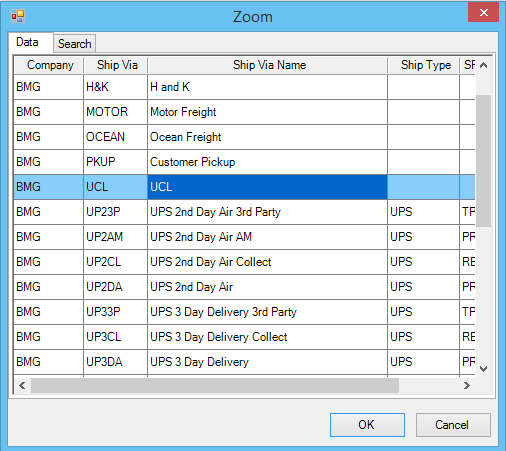 A window with Ship Via options will appear. 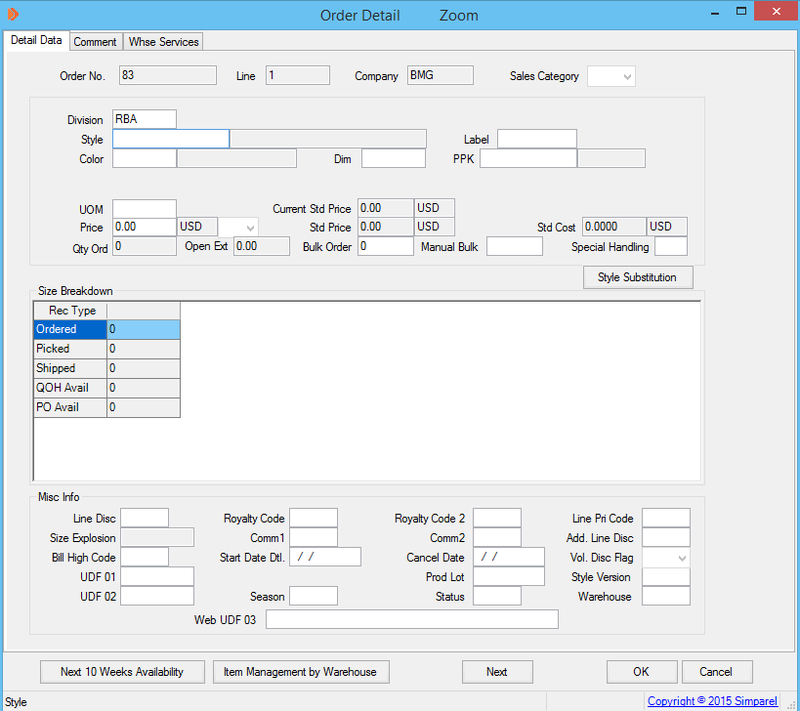 Double click on the Ship Via option for this order. Who should I put for Salesmen? If you made the order then put your user name. 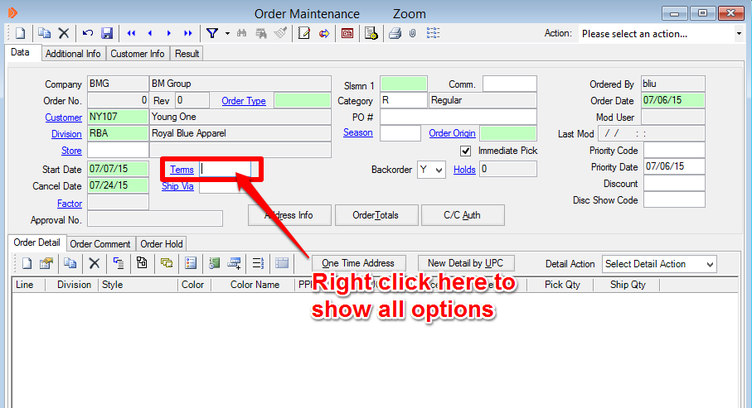 If you are a customer service associate and you took the order, put your username even if the customer belongs to a particular salesmen's territory. If the season exists, or you have just created it, then right click on the rectangle next to Season. Select the season you want from the window that appears. 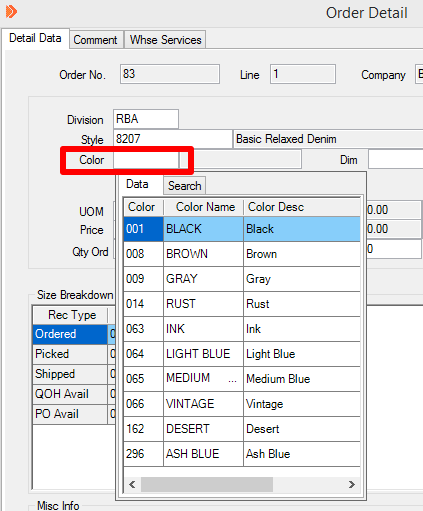 How do I know which Order Origin to Choose? 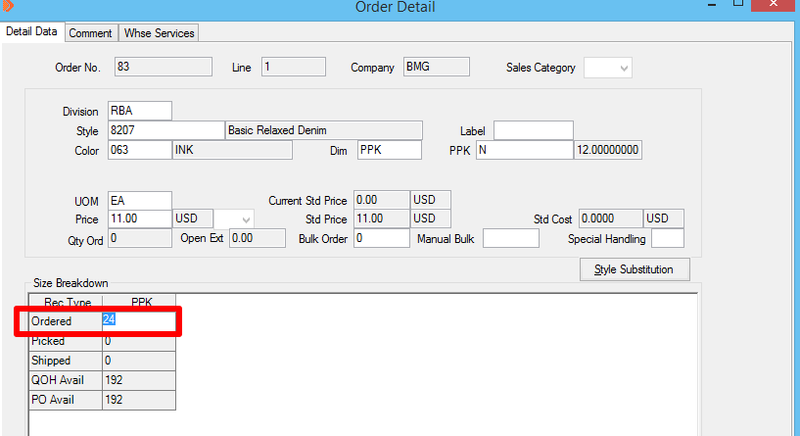 Please ask the customer how he or she thought of placing an order with us. You have to select the reason the customer made the order. It could be that the customer went to a tradeshow to place an order, or it could be that they saw an email from us and wanted to place an order. If they are just placing an order for no specific reason, then put General Purpose. 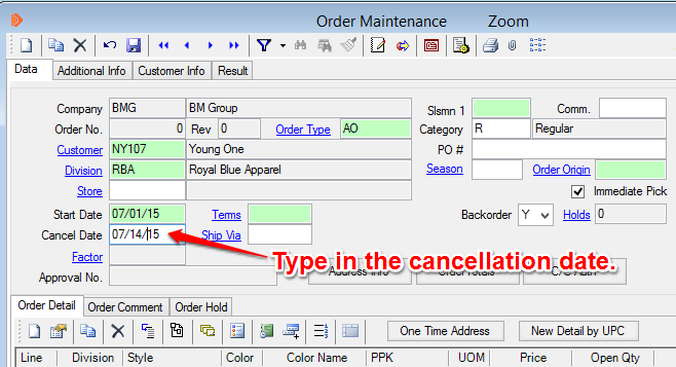 Note the Order Number is auto-generated by the system. Record it to help you refer to it more easily later. 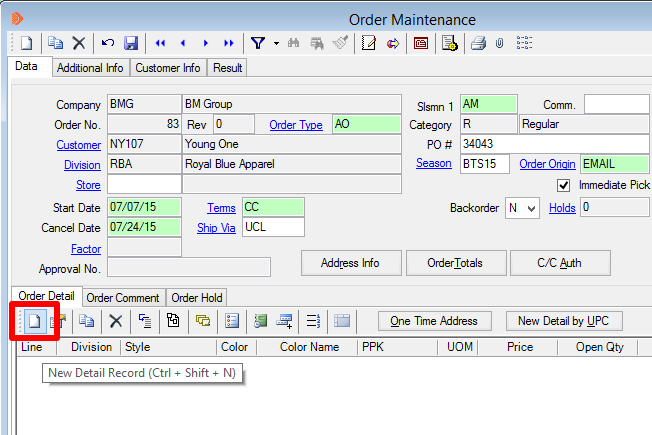 The Order Detail window will appear. Does the style have an Inseam? If yes, then set the Dim to PPK (you can also type PPK). Otherwise, leave it blank. 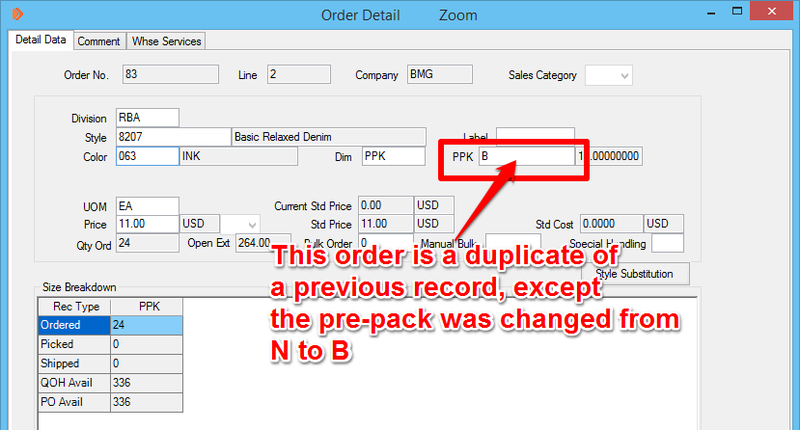 that means that the quantity you entered for this order line is not a multiple of the prepack quantity. For example, the prepack quantity for PPK B is 12 and you may have entered 15. 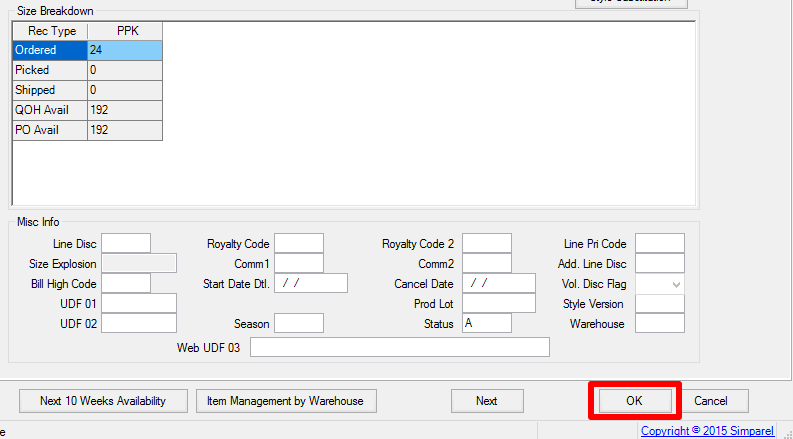 To save time and effort, if the next line item is very similar to the one just entered, click on the record and then click on Copy Record. 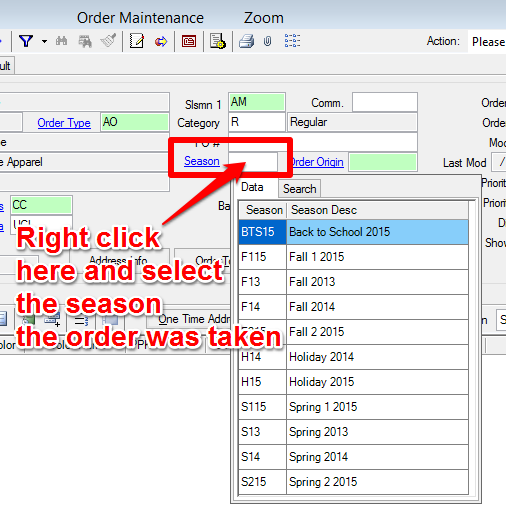 This creates a duplicate of an existing record and opens a new Order Detail window. 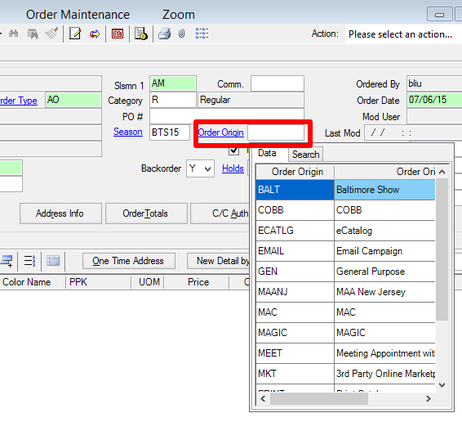 Make the changes that are specific to the new line item. 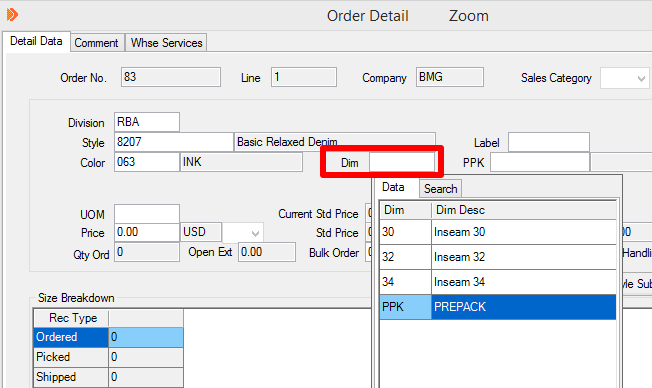 For example, the line item we created earlier is for pack N.
If the new copied line item has pack B, then make that change. The Price always resets to the default. Make sure to change it for the order. When you are done making changes, click OK at the bottom of the window. 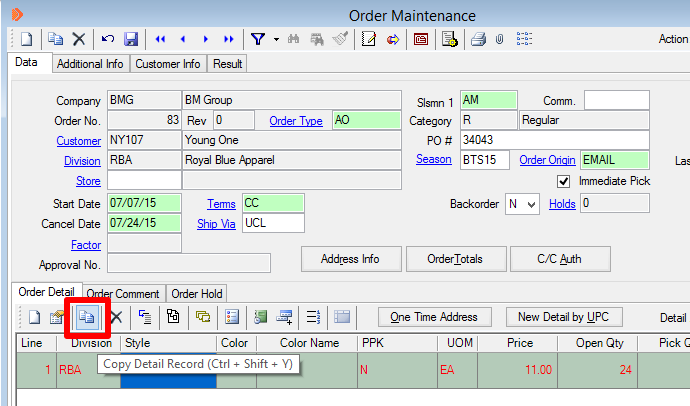 The new line item will be added to the Order Maintenance window. Remember to save your changes at the end. If you are a sales representative, then congratulations, you are done!